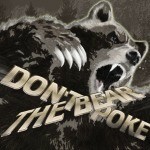 Mother’s Day is coming up and you know what that means; it’s time to worry about what you’re going to get your mother. Mother’s Day is coming up and you know what that means; it’s time to worry about what you’re going to get your beloved mother. She brought you into this world, so she deserves something special, right? The problem is that so many Mother’s Day gifts can be so generic. 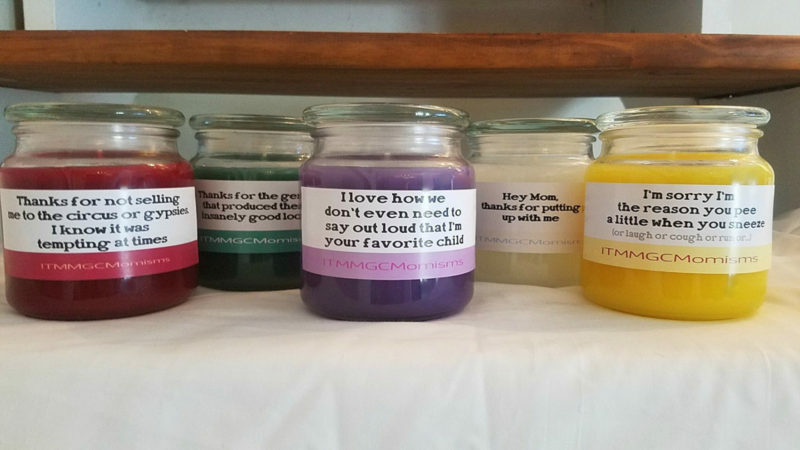 The Mother’s Day scented candles from Momisms are something special. Not only do they come in a variety of fantastic scents, but they have their own fun little slogans tacked on. Are you glad that your mom never sold you to the circus, even though you’re sure that she must have been tempted to? Well, now you can get her a candle thanking her for that. If you aren’t an only child then there’s a good chance your mom plays favorites. Do you know that you’re her favorite? Then get her a candle saying it, so she knows that you have a mutual understanding (while also throwing it in your siblings’ faces that they aren’t her favorite child). Every mother has a favorite child. They just don’t like saying it out loud. Now they don’t need to. Do you want to thank your mother for giving you her incredible good looks? She didn’t do it all, of course, but you know you get your looks from her, and you look great. These Mother’s Day candles can be used to thank your mother for the excellent genes she gave you, and let her know that she raised some cute kids that became great looking adults. She gave you your insanely good looks. Let her know. Raising a child can be difficult at times, but do you know what’s worse? Labor; actually giving birth to the child. If you want to wish your mother a happy Mother’s Day, then what better way to put it than telling her you hope her day goes better than labor? The “miracle of birth” doesn’t feel like such a miracle when you’re in a whole lot of pain. Speaking of pain, were you a pain for your mom even after you left her? If your mom has been putting up with you and your antics for a long time, then these Momism scented candles are a great way to say thank you for putting up with you. No matter what you want to say to your mom this year, you’re sure to find a great scented candle that can get the message across. All of these candles are available in a range of fun fragrances, some of which sound a little worse than they are. Monkey Farts smell better than they sound. Check out the full list of the Aromatherapy Fragrances you can choose from. These scented candles give your mom two messages in one, and they are a fantastic treat for every mother this holiday period. Give your mom a better smelling home and a heartwarming message with these Momism scented candles! Also don’t forget to check out the range of hilarious “If you can read this…” socks. For the mom that likes to put her feet up; these socks let you spread a message to your kids without them having to disturb that precious time you get away from them.